Optional land excursions may be added to enhance an already great tour. Helicopter flightseeing, dinner theater, rafting, side-trips to the Arctic Circle, and other items which normally are not included in full tour programs are found here. 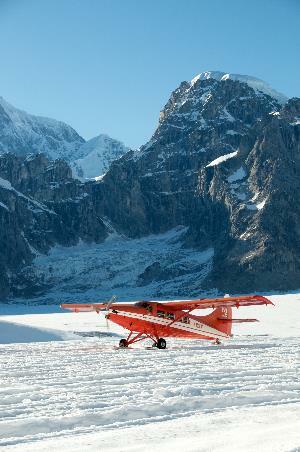 Glacier Landings are the highlight of any Alaska Adventure! Your local Alaskan tour director will provide details on tours and costs upon arrival. In addition, they will ensure that reservations are secured and provide all information to connect with the activity as requested. Information featured on this site may change with no advance notice based on preferred supplier changes.